Shopping for a new Chevrolet Traverse? 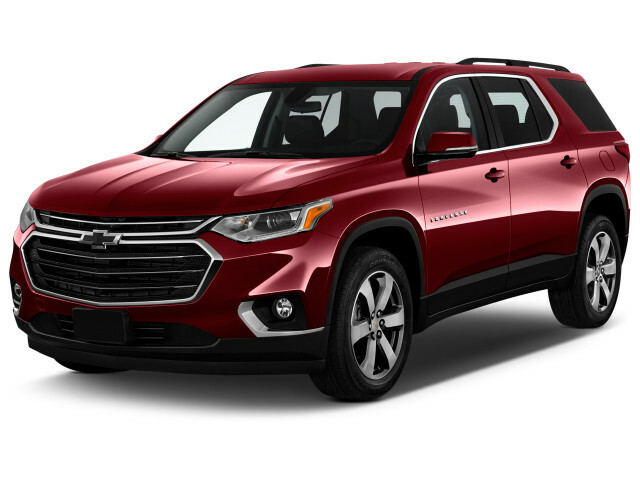 The 2019 Traverse LT offers a compelling value for families, we just wish it were available with active safety features. The 2019 Chevy Traverse takes a bland family wagon idea and steers it toward the men’s clothing department. The Traverse was new last year and borrowed much of its looks from Chevy’s truck division. The three-row crossover is still firmly focused on family detail despite its looks, and its interior is on the wash-and-ready side of the durable vs. designer debate. It’s still handsome, and in top trims can be dressed in leather, but it doesn’t step on the related Buick Enclave’s premium looks. 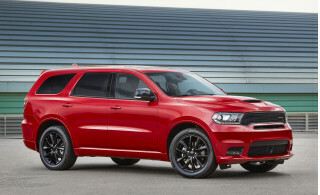 Under the hood, a 3.6-liter V-6 that makes 310 horsepower and returns about 22 mpg combined will be most common. A smooth-shifting 9-speed automatic is the only transmission on offer—thank goodness it’s one of the better ones. Front-wheel drive is standard, and all-wheel drive is available on most trims, but it’s a part-time system that doesn’t engage itself—you need to know when you need it. A 2.0-liter turbo-4 can be had underhood the Traverse RS with front-wheel drive. It’s no more efficient or powerful than the V-6, and this year Chevy has added an AWD RS with the V-6 that’s starting to relegate the turbo-4 to “also-ran” status. The Traverse is comfortable in all three rows, even for adults. That kind of room in the wayback is unusual in the class, but scant shoulder space stops us short of saying it’s OK to find seven of your closest friends and head for a Dakota this weekend—North or South, your pick. Federal testers give the Traverse relatively good scores, but independent testers haven’t crashed one yet. Base L models will be rare sights on lots. We suggest starting with the LT trim that includes power-adjustable driver’s seat, second-row captain’s chairs, a leather-wrapped steering wheel, upgraded cloth seats, a 7.0-inch touchscreen, and 18-inch wheels. Options abound for LTs, including leather upholstery, 20-inch wheels, an 8.0-inch touchscreen, and blind-spot monitors. There’s room to grow, is what we’re saying. The 2019 Chevy Traverse looks sharper and adapts the automaker’s truckier look to a family ride. At first glance, the 2019 Chevy Traverse appears to align more closely with the automaker’s big pickups and bulky SUVs. Closer inspection reveals that while the Traverse’s graceful lines may have been sharpened more, the cabin and details are still as smooth as ever. 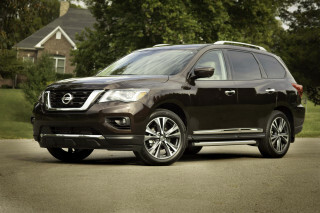 This year, the Traverse stays largely identical to last year after a complete redesign. The Traverse is more upright now, with a taller grille and bigger bowtie planted into its pucker. Slim taillights finish a strong shoulder line that carries the Traverse’s boxy look through the body sides. 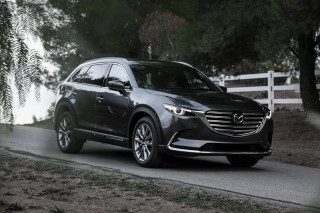 The look isn’t as striking as some in the class—Mazda CX-9 and handsome Dodge Durango—but it’s leagues better than the outgoing model and some of Chevy’s other crossovers. Inside, the cabin gets dressier with more money, but every version has smart controls and soft surfaces or durable, wash-and-ready plastics. The center console is wide and useful, big enough to swallow small groceries or accumulated family detritus. High Country editions punch above Chevy’s mainstream lot, but ask owners to pay dearly for the privilege. The big V-6 in the 2019 Traverse delivers entertaining power, and we’re smitten with the 9-speed automatic. The 2019 Chevy Traverse aims for the heart of the crossover market with its powertrains. There’s no forward-thinking hybrid or plug to be found, but its all-wheel-drive system is a step backward. The biggest change this year for the Traverse is a V-6 version of its RS edition that all but elbows out a 2.0-liter turbo-4 that was standard last year. Both engines are still available, although now the 2.0-liter turbo-4 is relegated to one trim, front-wheel drive only. The V-6 is a tried-and-true mill from GM that makes 310 hp and 266 lb-ft. Its only partner is a smooth shifting 9-speed automatic that works very well. The V-6 makes the most of its power across a fat slice of the powerband. We’ve had enough twist to spin up the front wheels, enough to spill a milkshake if you’re interested in cleaning up the mess later. The 9-speed fires off quick shifts and drops down gears for highway passes well. It’s better than other 9-speeds we’ve tested, the right programming goes a long way. Chevy’s part-time all-wheel-drive system is optional on all trims except High Country. It’s a system that requires driver engagement, a headscratcher when other automakers offer automatic systems. Twisting a knob from front- to all-wheel drives is really for efficiency’s sake, but at 22 mpg, the Traverse is hardly efficient without it. A 2.0-liter turbo-4 is a left-field option for the Traverse. Only available in RS spec with front-wheel drive, it’s no sportier, no more efficient, and saddled with a lot of weight for the engine’s 257 hp. We’ll report when we’ve had more time behind the wheel. Like any other big family galoot, the Traverse steers and pitches like a big family car. (It is.) It’s not particularly communicative, but a big on-center spot helps the Traverse stay pointed in the same direction on long trips. The suspension was upgraded last year, compared to prior generations. The Traverse uses supple MacPhersons up front and a five-link rear suspension setup to smother bumps. The big, comfortable 2019 Traverse is the perfect tool for a family road trip. The 2019 Chevy Traverse is built for American tastes and waists, sized just right for Utah families. The front seats are all-day comfortable and are very carb-friendly—we mean pasta, not the regulatory agency. Most versions will feature power adjustment for the driver’s seat, top trims get passenger adjustment, lumbar adjustment, or upgraded material. The second-row captain’s chairs are good for long hauls, with plenty of room for full-frame adults. Chevy says there’s more than 38 inches of leg room in the second row and it’s believable. The doors swing wide for easy entry and exit (although mall parking lots may be a challenge) and parents shouldn’t have an issue buckling in small children with the wide opening. The third row is spacious too. With more than 33 inches of leg room, the third row isn’t a punishment for adults—our 6-foot-3 editor fit back there too—but we’d stop short of stuffing a grownup back there for long hauls. Well, maybe a couple coworkers. Behind the third row, there’s 23 cubic feet of cargo room, which is generous. With the third row flat, that space balloons to more than 58 cubic feet. Just the front rows in place reveals more than 98 cubic feet of cargo room, enough for an IKEA living room in one shot. The fit and finish of the Chevy Traverse is generally good, although it’s not as premium as the related Buick Enclave. Most versions of the Traverse will be equipped with active noise cancellation, which helps quiet the cabin and keeps the outside at bay. Throwing more money at the Traverse nets better interior materials, including real leather hides on LT Leather, High Country, and Premier trims. We haven’t yet sampled the leather-appointed seats in Traverse RS versions, but will report back once we do. Little crash data is available, but Chevy’s not making friends by reserving safety tech to top trims of the 2019 Traverse. Chevy equips all Traverses with the standard equipment expected among family crossovers, but not much more. All models are equipped with airbags for belted passengers, a rearview camera, and traction and stability control systems. Asking any more requires deeper pockets. Available on top Premier versions and standard on High Country models—that cost $46,000 or more—automatic emergency braking, active lane control, adaptive cruise control, and automatic high beams. Other automakers such as Toyota and Honda don’t reserve life-saving technology to top trims, frankly. Outward vision in the Traverse is good for such a large crossover, but we strongly recommend parking sensors to help maneuver the Traverse into tight spots. The 2019 Traverse starts modestly, but can get pricey in a hurry. 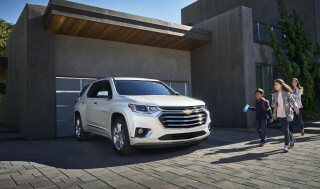 The 2019 Chevy Traverse comes with a bevy of features that families want as standard equipment, but critically lacks one they need. Like last year, the Traverse is available in L, LS, LT, RS, Premier, and High Country trim levels starting at $31,125, including destination. Base models are modestly equipped but include a sharp 7.0-inch touchscreen with Apple CarPlay and Android Auto compatibility. They also lack critical automatic emergency braking. The base Traverse L is equipped with seating for eight, cloth upholstery, power features, three-zone climate control and 18-inch wheels. They’re front-wheel drivers only, and rare sights on dealer lots. We think shoppers should skip over LS models and head straight to the LT trim that costs about $36,500 to start. Those versions offer power-adjustable driver’s seat, second-row captain’s chairs, a leather-wrapped steering wheel, upgraded cloth seats, and 18-inch wheels. There are several appearance packages available for the LT, but we’d opt instead for a comfort and convenience group that upgrades the touchscreen to an 8.0-inch display, adds heated front seats, a power liftgate, blind-spot monitors, and rear parking sensors for about $1,800. All-wheel drive doesn’t come cheaply on LT versions, it’s $3,800 more, but also includes the popular equipment package as standard. If our belts weren’t too tight, and our pantry stocked with more than crackers and soup, we’d opt instead for a Traverse Premier, which starts at $46,495. 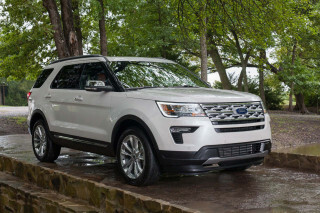 Those versions add 20-inch wheels, a heated steering wheel, leather upholstery, power liftgate, 8.0-inch touchscreen, heated second-row captain’s chairs, wireless smartphone chargers, navigation, Bose audio, heated and cooled front seats, and remote start. Critically, advanced safety features like automatic emergency braking start near the top trims. 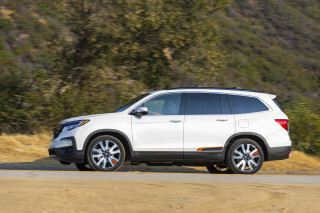 All-in, a Traverse High Country costs $54,195 and adds all-wheel drive, active lane control, automatic emergency braking, a panoramic sunroof, power-folding third row, and adaptive cruise control. The 2019 Traverse is mid-pack for fuel economy, but some can do better. The 2019 Chevrolet Traverse is mid-pack among family haulers for fuel economy, but others do better. Those numbers are for an all-wheel-drive Traverse equipped with a V-6. Fewer cylinders or fewer driven wheels do better, but not much. Front-wheel-drive versions rate 18/27/21 mpg. Opting for the turbo-4, which is front-drive only, returns 20/26/22 mpg. Many family haulers manage 22 mpg, including minivans. Some full-size crossover SUVs manage that but many don’t, including more popular versions of the Traverse.